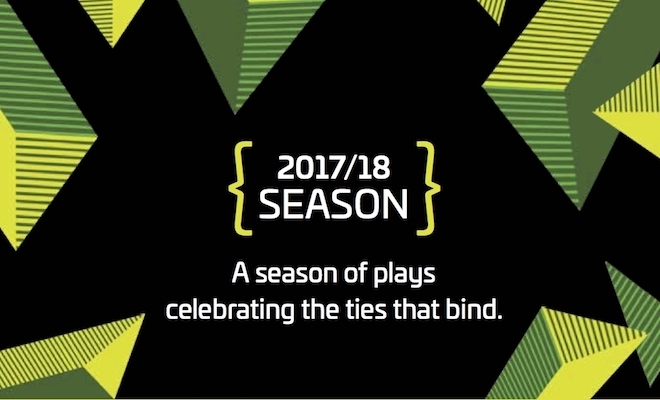 Keen is proud to present two plays celebrating A SEASON OF CONNECTION. Keen Company creates theater that provokes identification, reflection, and emotional connection. In intimate productions of plays and musicals, we tell wholehearted stories about people striving to do their best. Keen has been honored with eleven Drama Desk Nominations, two Drama Desk Awards, two Drama League Nominations, and two Obie Awards. Lonely Planet is the story of friendship in a time of crisis. Set in a small map store on the oldest street in an American city, Lonely Planet is an intimate portrait of two friends at the height of the HIV/AIDS epidemic. Shop owner Jody becomes increasingly fearful of the world outside and the dangers it poses, refusing to leave his shop. Meanwhile Carl, his spirited friend, begins filling the store with a variety of mysterious chairs. Funny, moving, and deeply human, Steven Dietz’s landmark play examines how we all navigate troubled times. 25th anniversary production! Steven Dietz’s thirty-plus plays have been seen at over one hundred regional theatres in the United States, as well as Off-Broadway and in over twenty countries internationally. Mr. Dietz received the 2016 Steinberg New Play Award Citation for Bloomsday (ACT-Seattle, world premiere), having previously been a finalist for Last of the Boys and Becky’s New Car. Other recent premieres include This Random World, presented at this year’s Humana Festival of New American Plays at Actor’s Theatre of Louisville, Kentucky; and the thriller, On Clover Road, seen at multiple U.S. theatres as part of a National New Play Network rolling world premiere. Other awards include the Kennedy Center Fund for New American Plays Award for both Fiction and Still Life with Iris; the Edgar® Award for Best Mystery Play for Sherlock Holmes: The Final Adventure; the PEN USA West Award in Drama for Lonely Planet; and the 1995 Yomuiri Shimbun Award (the Japanese “Tony”) for his adaptation of Shusaku Endo’s novel Silence. Other widely produced plays include Rancho Mirage, Yankee Tavern, Shooting Star, Jackie and Me (from Dan Gutman), Inventing van Gogh, God’s Country, Private Eyes, Dracula (from Bram Stoker), and The Nina Variations. Mr. Dietz and his family divide their time between Seattle and Austin, where he teaches playwriting and directing at the University of Texas. Performances for this limited Off-Broadway engagement of Lonely Planet, directed by Keen Artistic Director Jonathan Silverstein, will begin Tuesday, Oct 3rd, and continue through November 18th only, with opening night set for Thursday, October 19th. Additional matinee on Wednesday November 15th at 2pm. A. R. Gurney liked to say he “has been writing plays for quite a while.” Besides Love Letters, his most familiar ones are The Dining Room, The Cocktail Hour, Sylvia, and Ancestral Voices. His most recent double bill Two Class Acts premiered at The Flea Theatre. He taught literature at M.I.T. for many years before turning to writing full time. Besides plays, Gurney has written three novels, two opera librettos, and several efforts for TV. His plays have been produced off-Broadway by such theaters as Playwrights Horizons, Lincoln Center, Primary Stages, and the Flea Theater in Tribeca. He has received a number of professional awards, along with honorary degrees from Williams College and Buffalo State University. He was a member of the Theatre Hall of Fame and the American Academy of Arts and Letters, the father of four children, eight grandchildren, and was married to his wife Molly for over sixty years. Mr. Gurney passed away on June 13, 2017. Performances for this limited Off-Broadway engagement of Later Life by A.R. Gurney, directed by Jonathan Silverstein, will begin Tuesday February 27th, and continue through Saturday April 14th, only, with opening night set for Thursday March 15th. Additional matinee on Wednesday April 11th at 2pm. Casting and design team will be announced shortly. All performances will be at The Clurman Theatre at Theatre Row (410 West 42nd Street, between 9th and 10th Avenues) and will be Tuesday through Thursday evenings at 7pm; Fridays at 8pm; Saturdays at 2pm & 8pm; and Sunday matinees at 3pm. Tickets will be $65; premium tickets will be $80. (All ticket prices include restoration fees). A subscription package for both shows of the season is only $90 which includes unlimited exchange privileges, invitations to Keen Company readings, and more! Save over 35% off of a $130 value! Subscribers also get discounts on cast recordings of Keen’s productions of Marry Me a Little and John & Jen, as well as advance notice and discounted tickets to The Keen Teens Festival of New Work, The Playwrights Lab Series, and Keen Company’s Annual Gala. Keen patrons 30 or under see both shows for just $20 each with a KEENConnect Subscription at only $40. That’s all the perks of a regular subscription for the price of a rush ticket! Save over 65% off the full ticket price! (Please note, government issued ID must be presented at box office). Individual tickets and subscriptions are on sale NOW! To purchase single tickets visit the Theatre Row Box Office ((410 West 42nd Street, between 9th and 10th Avenues), online at Telecharge.com, or call 212-239-6200. For subscriptions, please visit www.keencompany.org/subscribe.